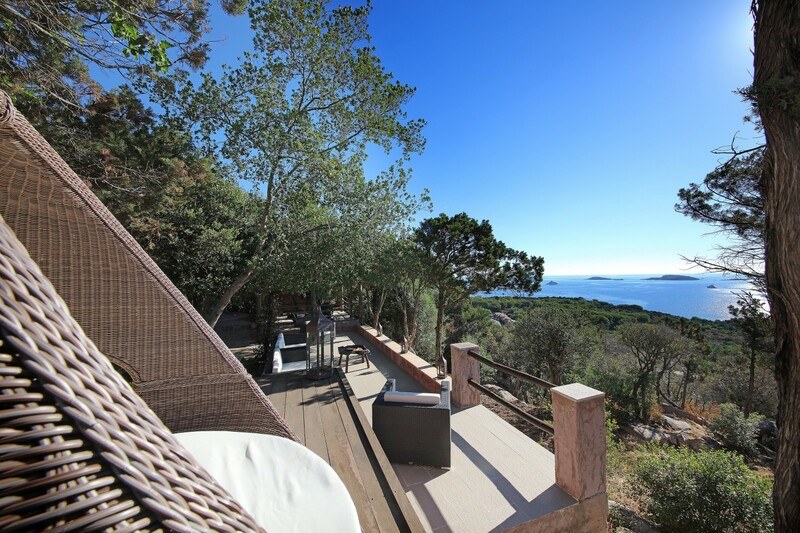 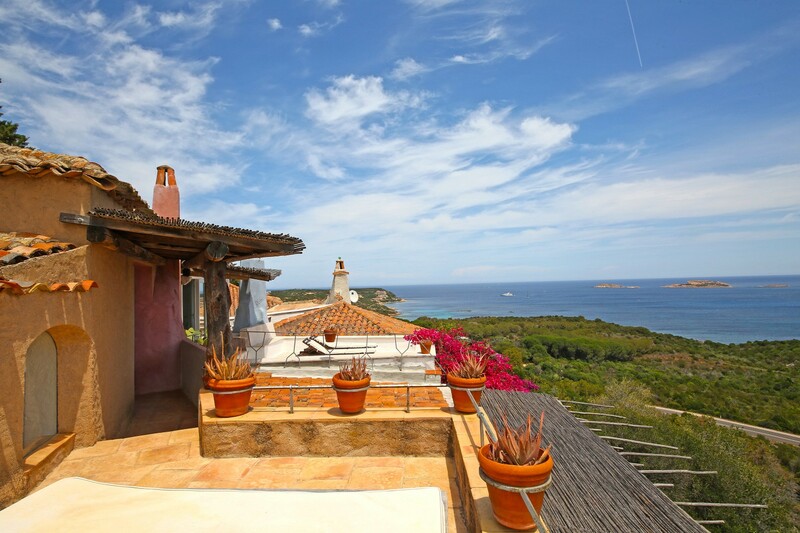 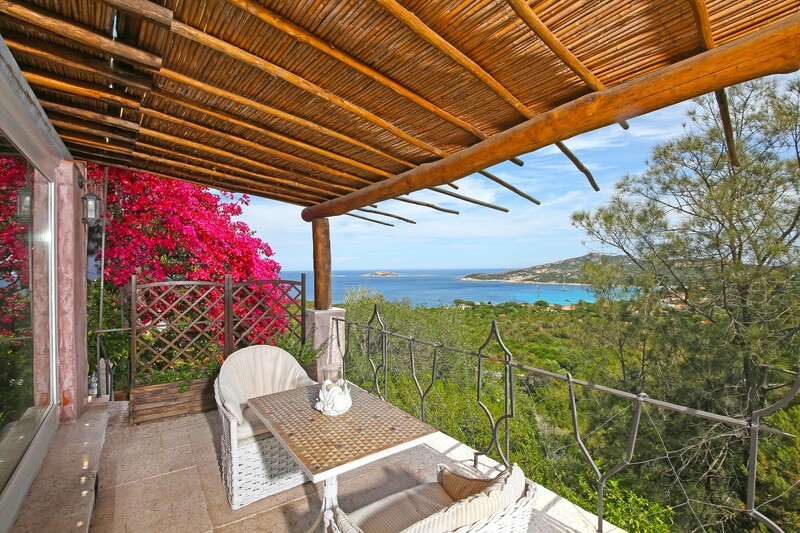 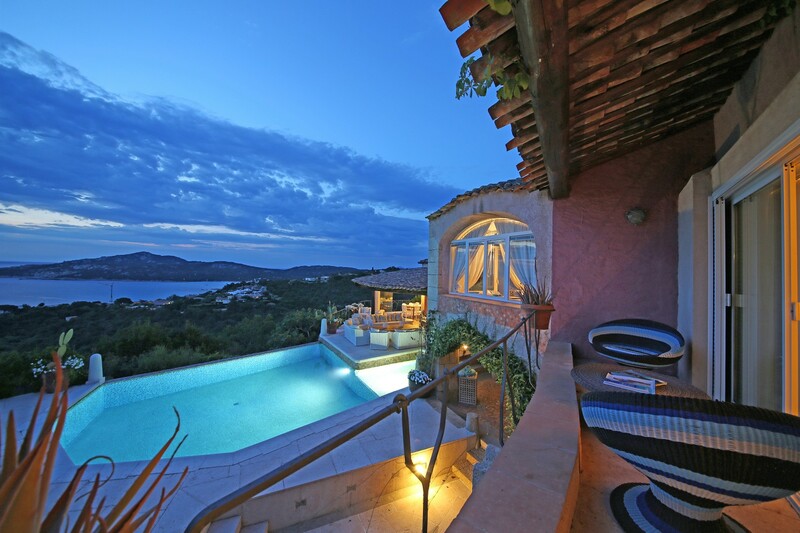 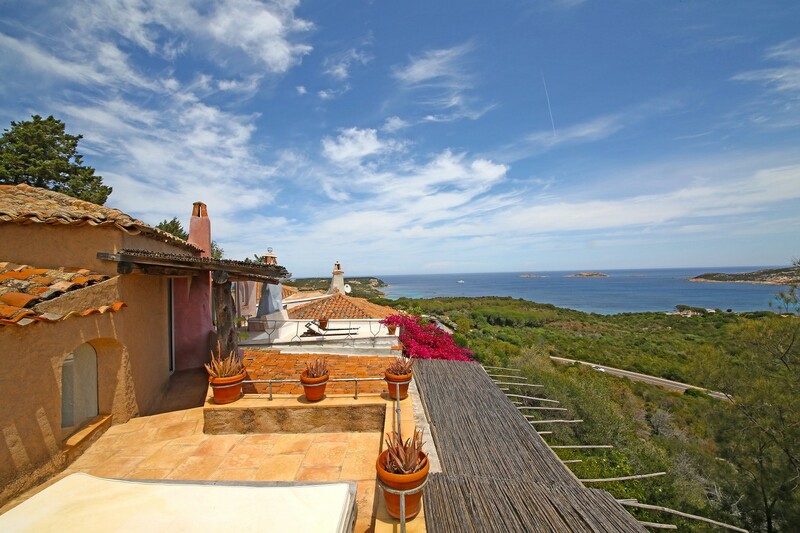 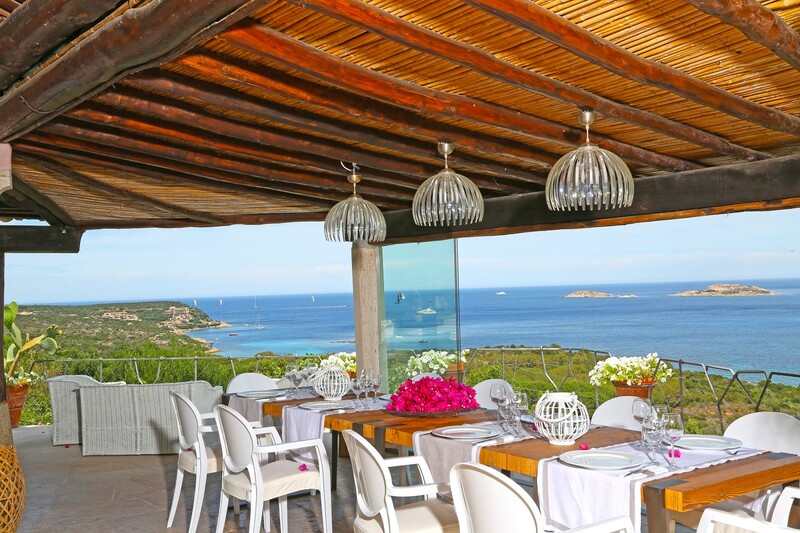 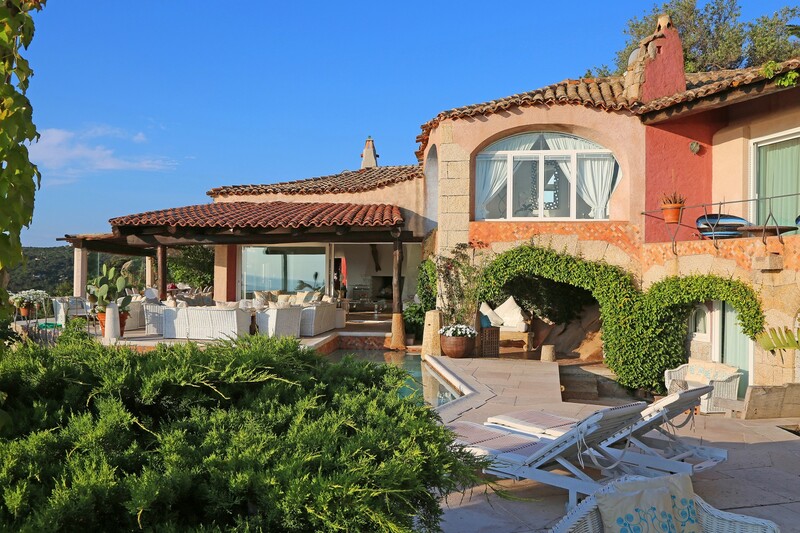 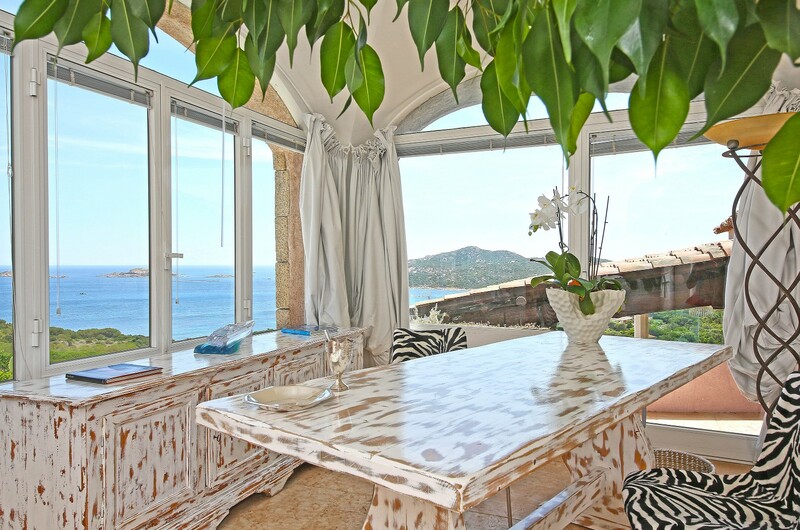 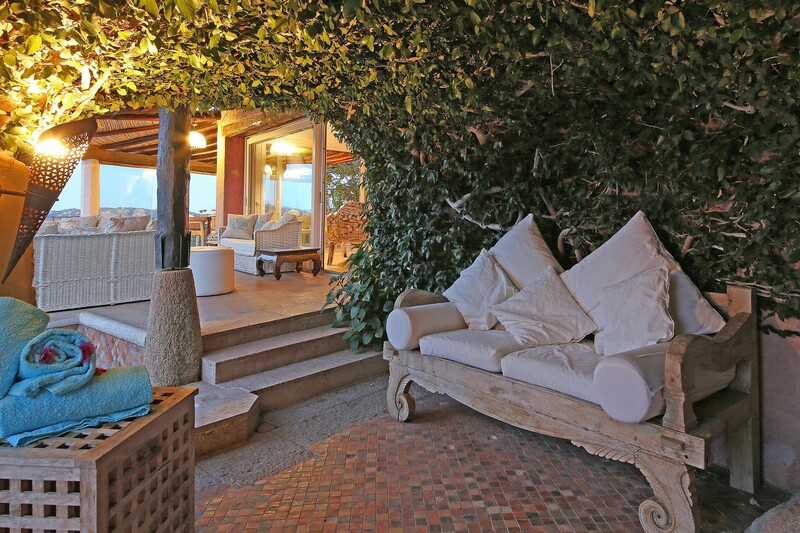 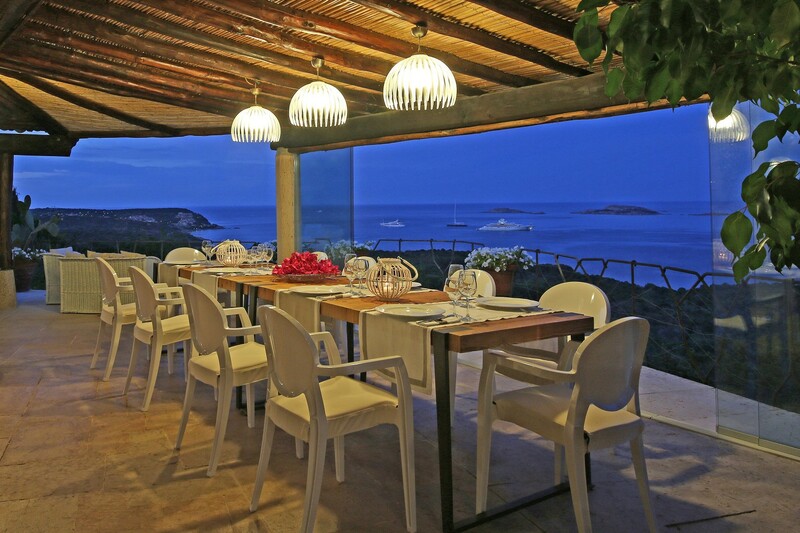 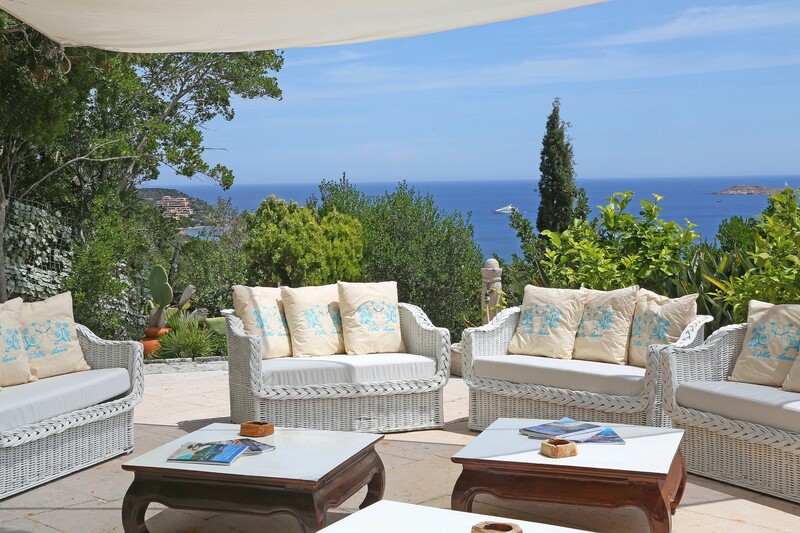 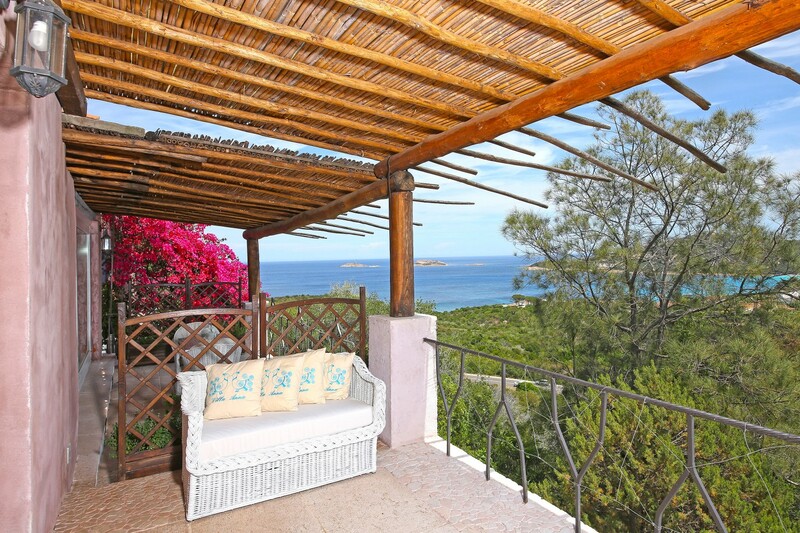 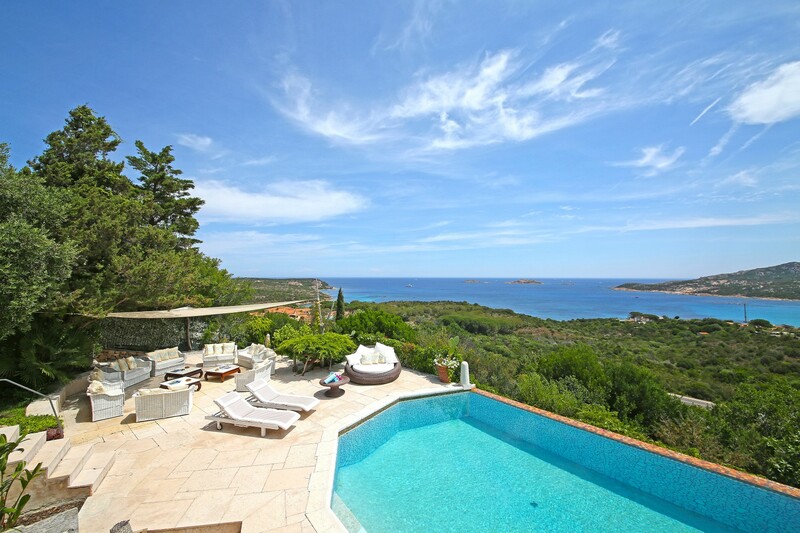 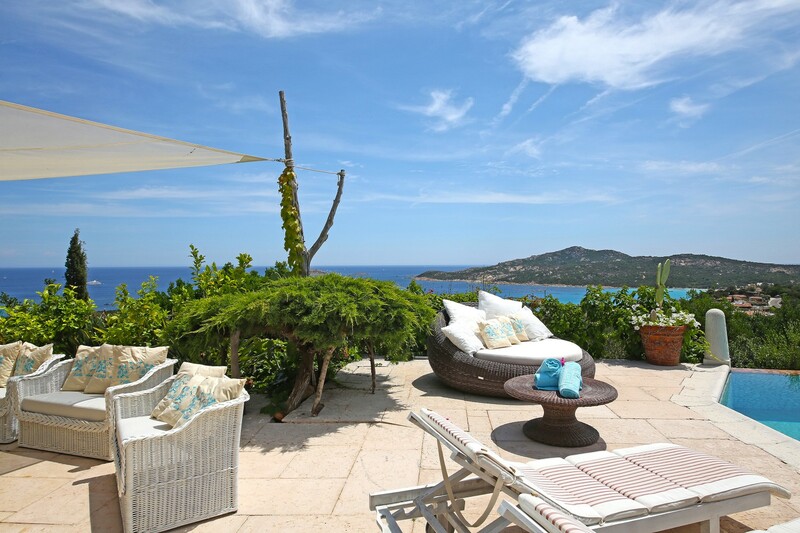 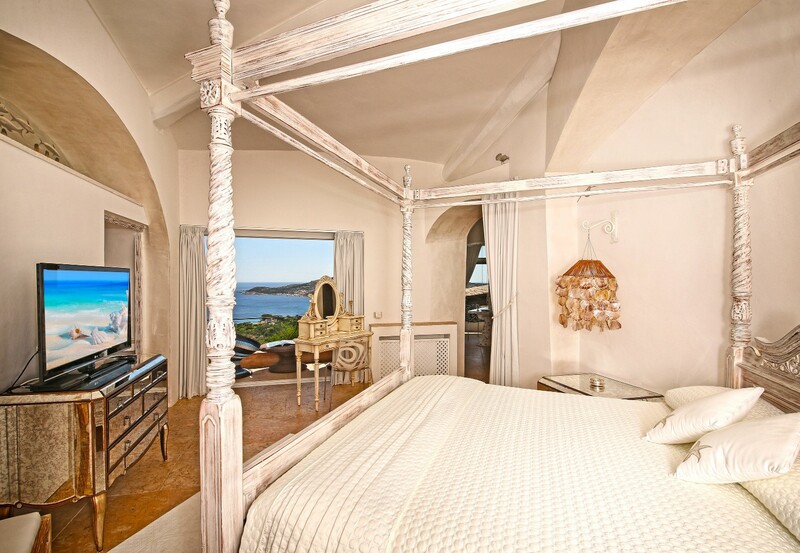 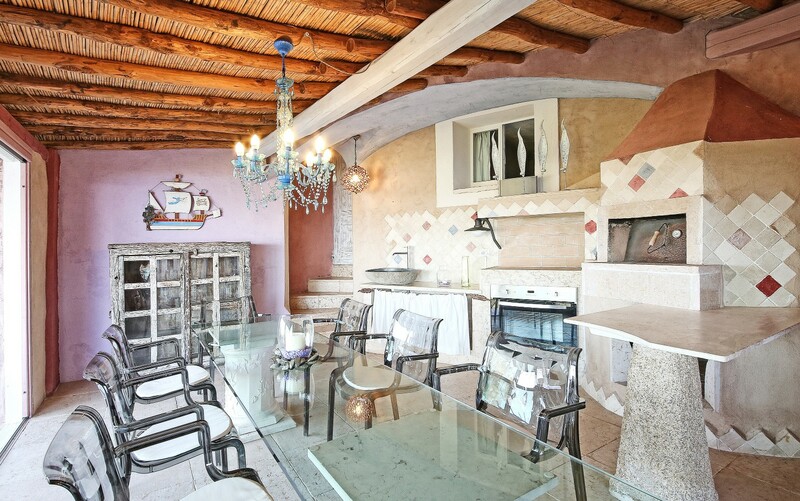 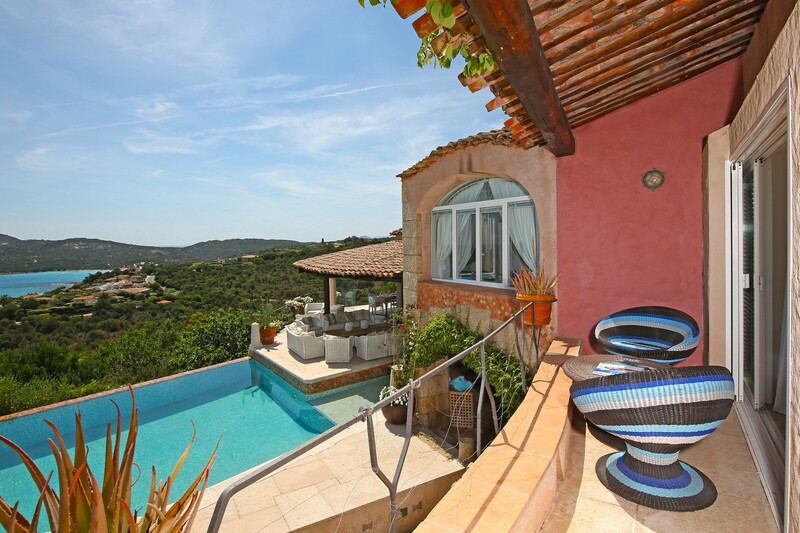 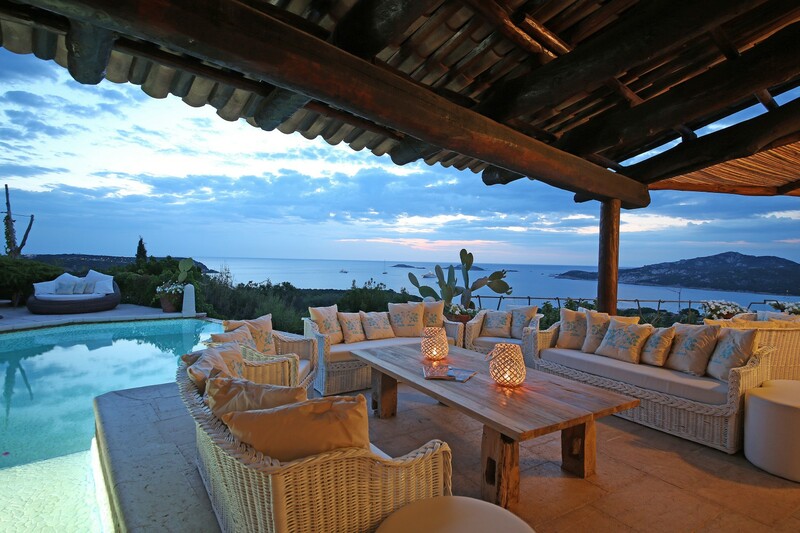 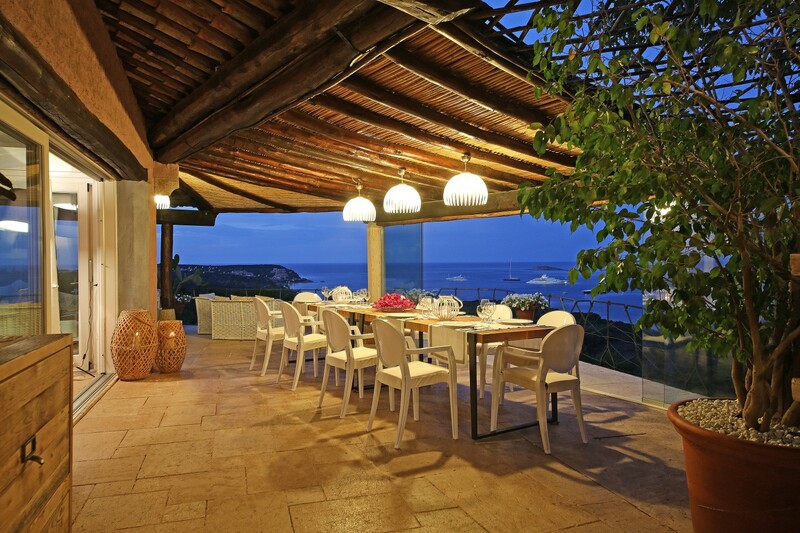 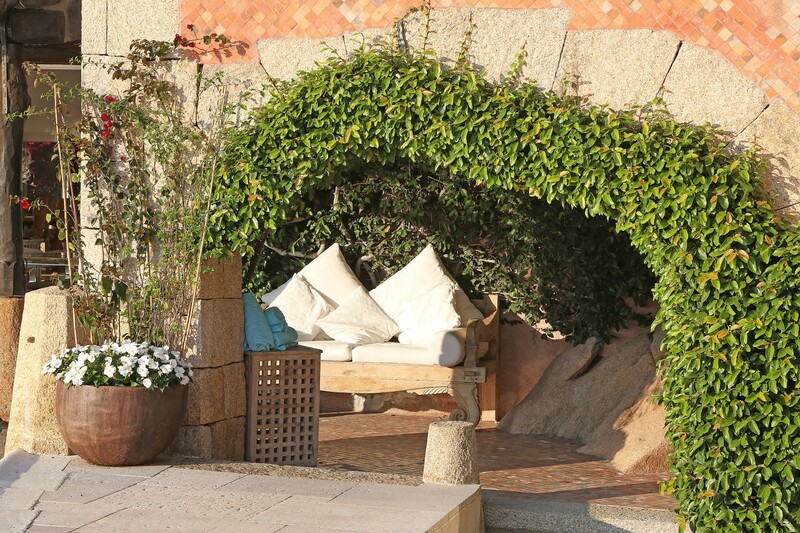 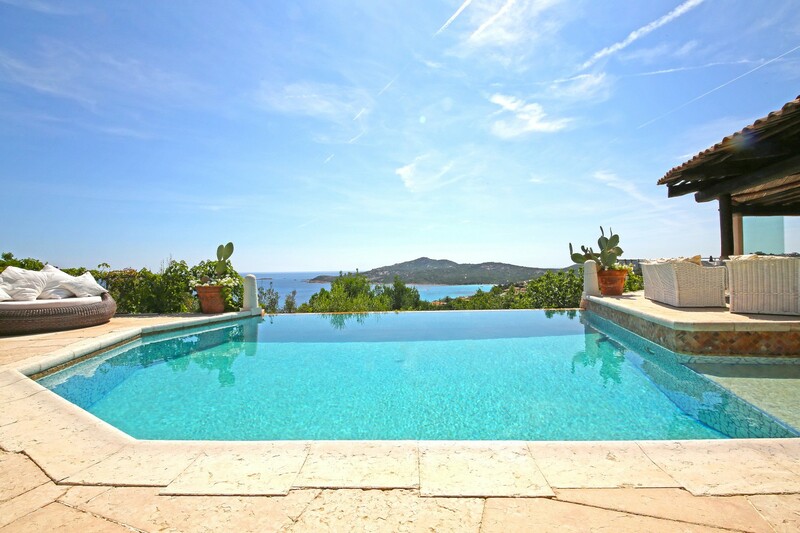 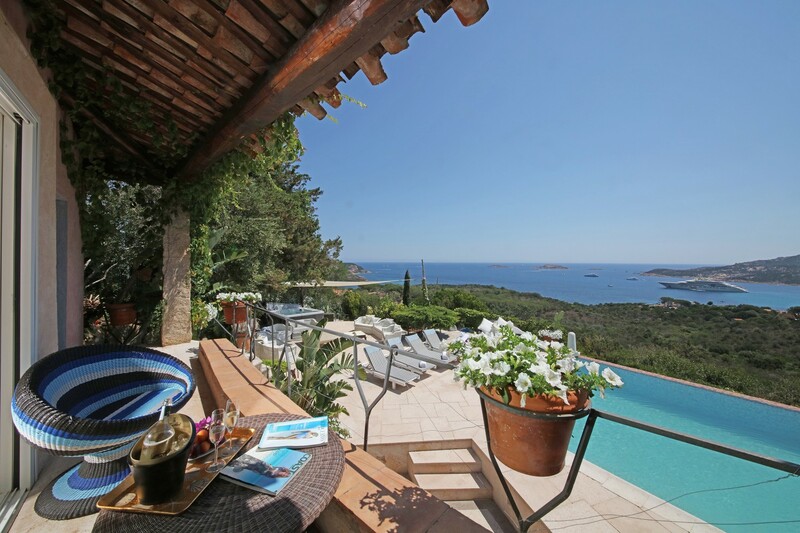 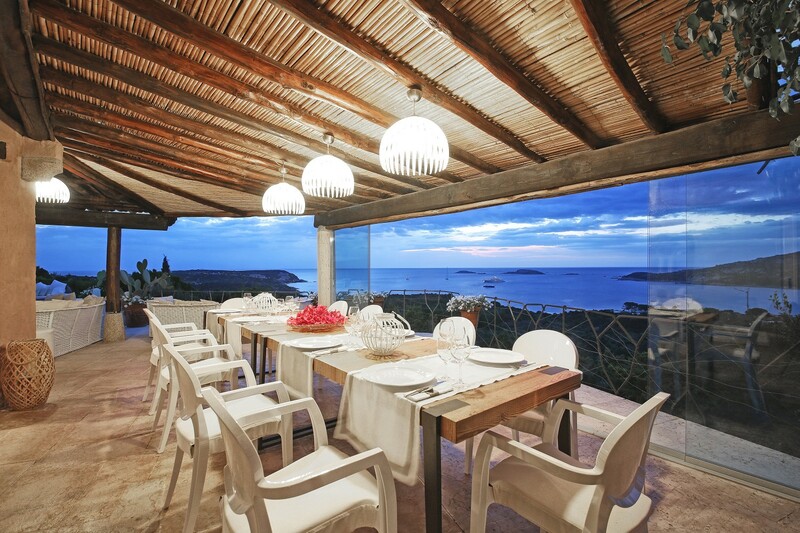 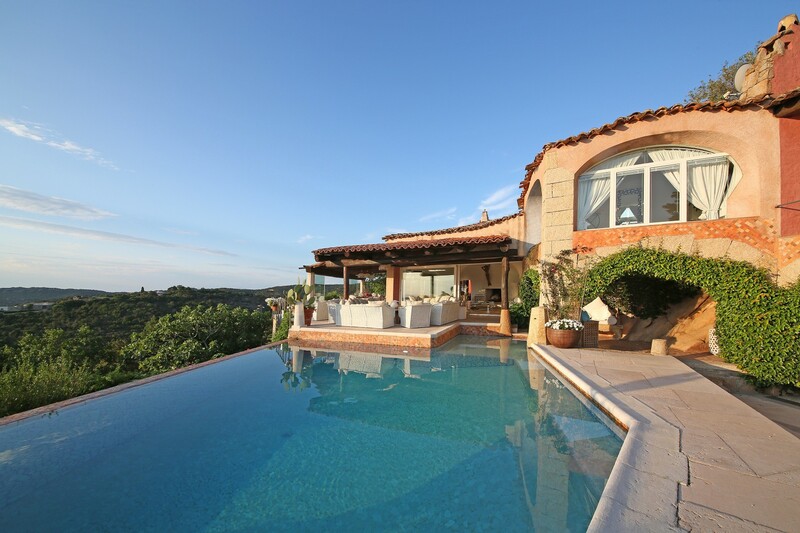 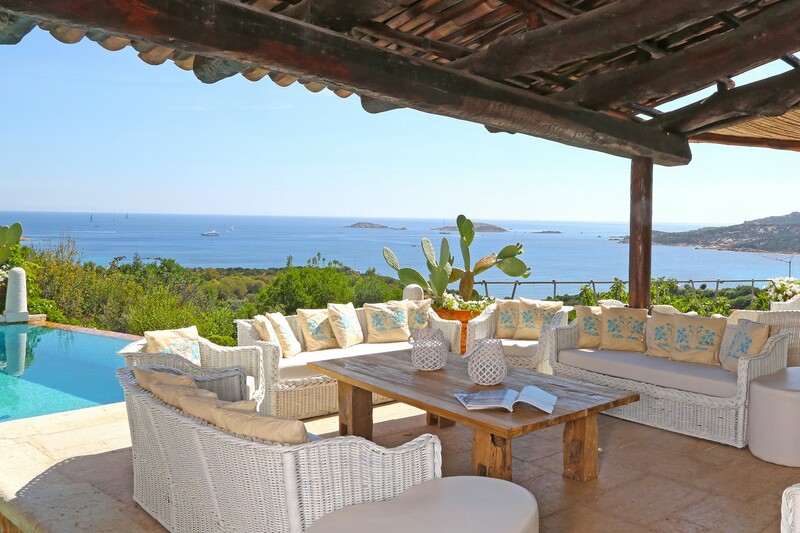 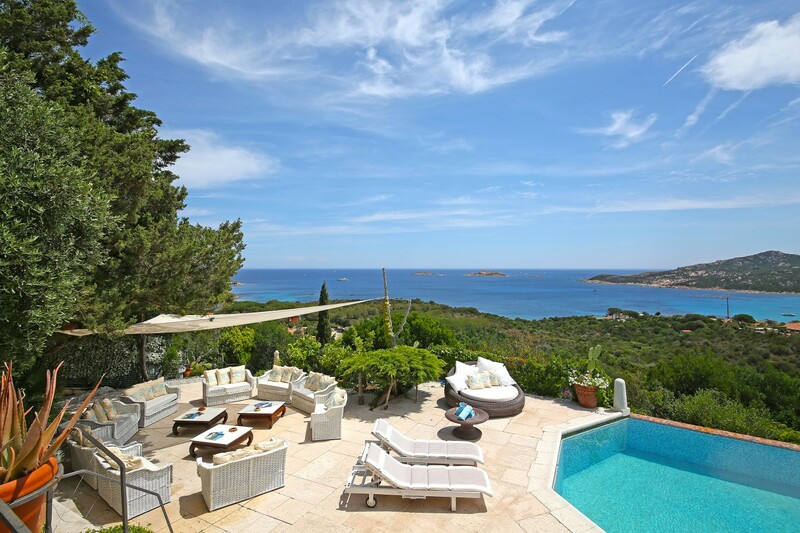 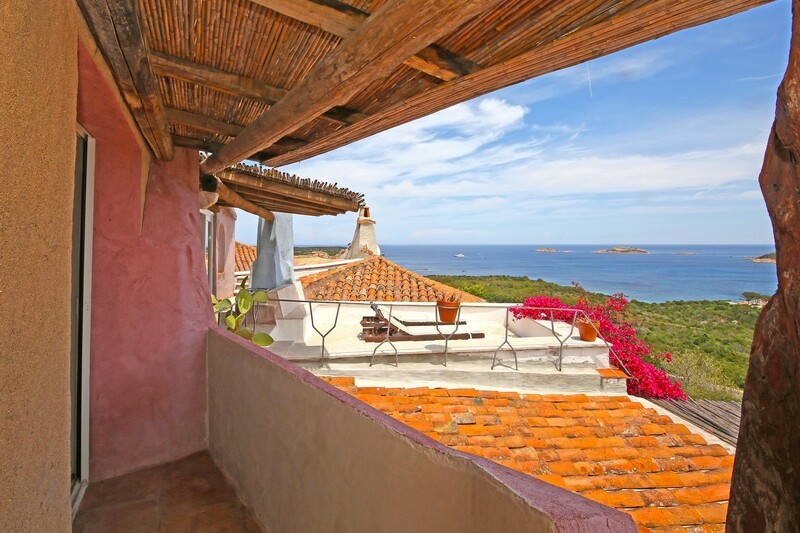 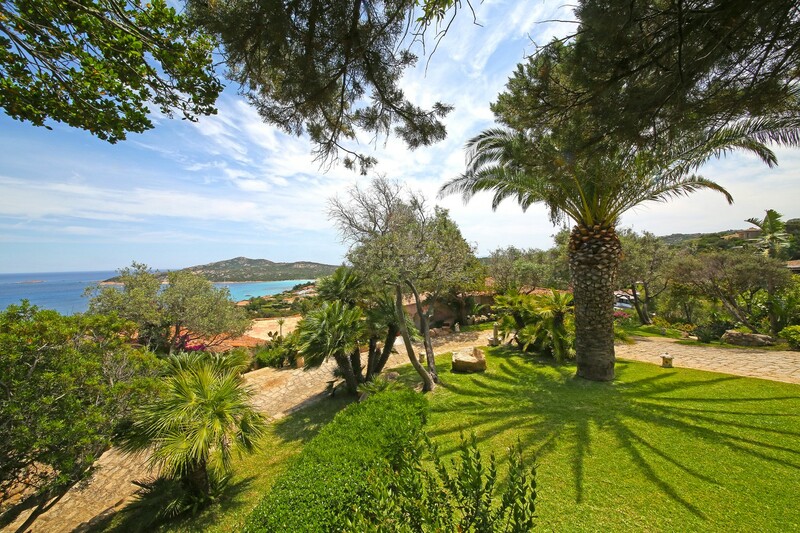 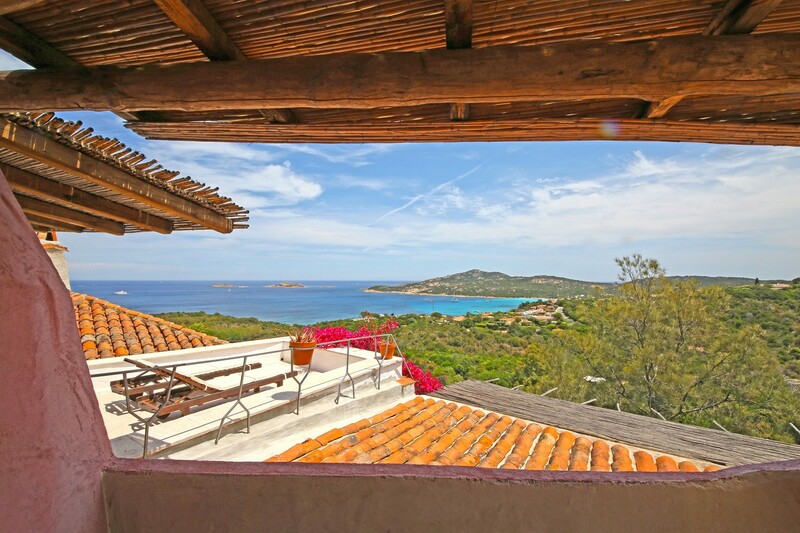 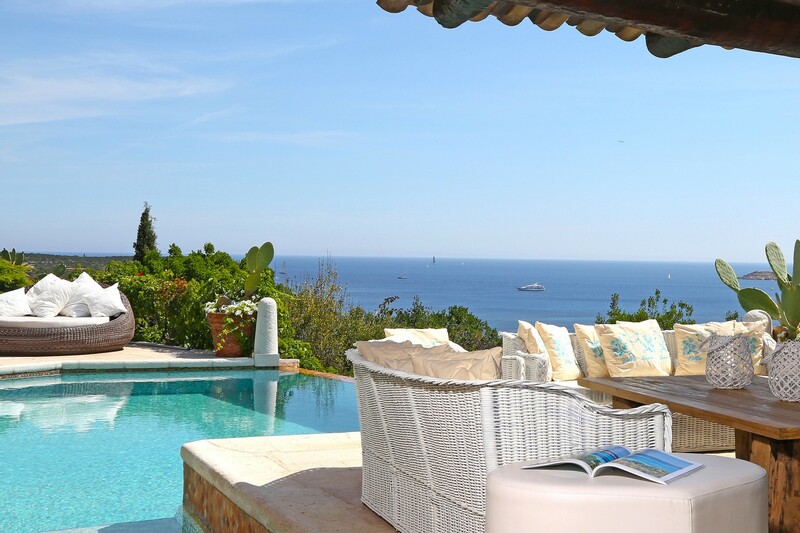 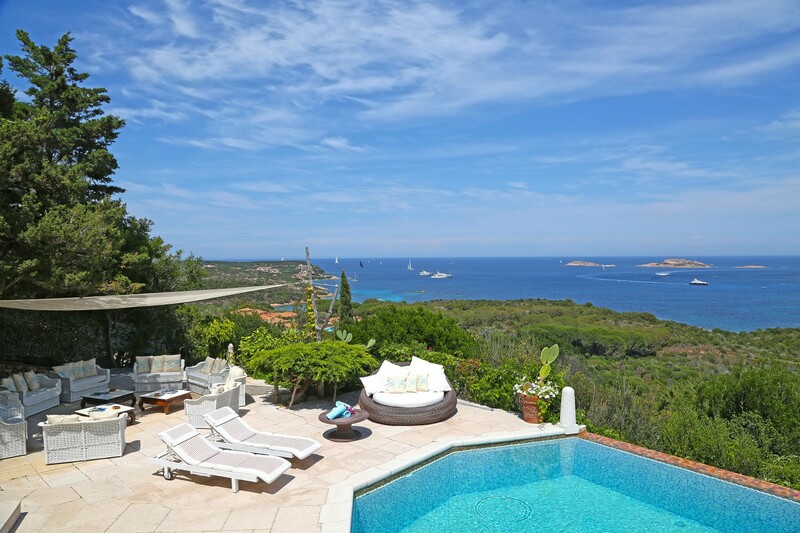 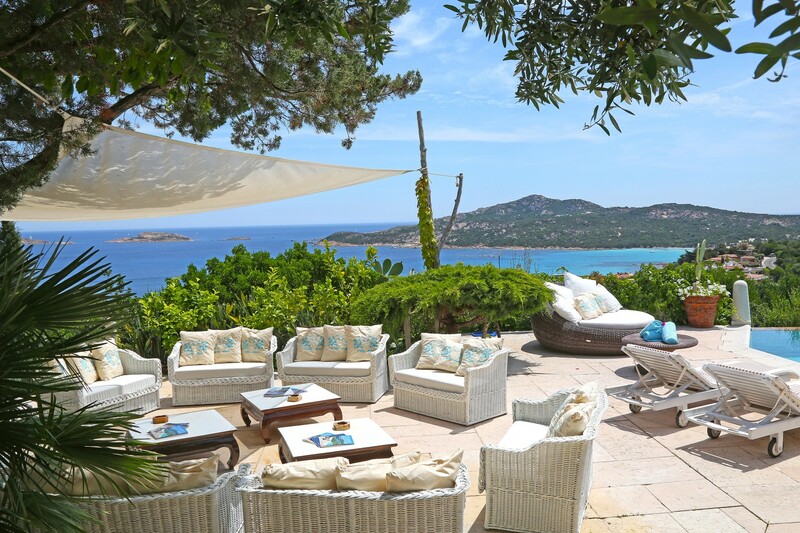 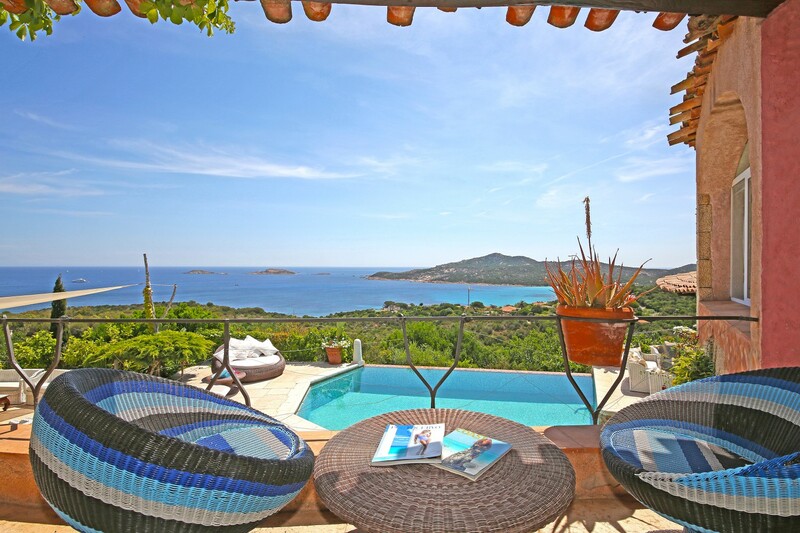 Located on the hill of Pantogia at only five minutes drive from the Marina and the famous “Piazzetta” this property grants the best views on Porto Cervo and the Sea, and a quick access to the famous beach of Pevero. 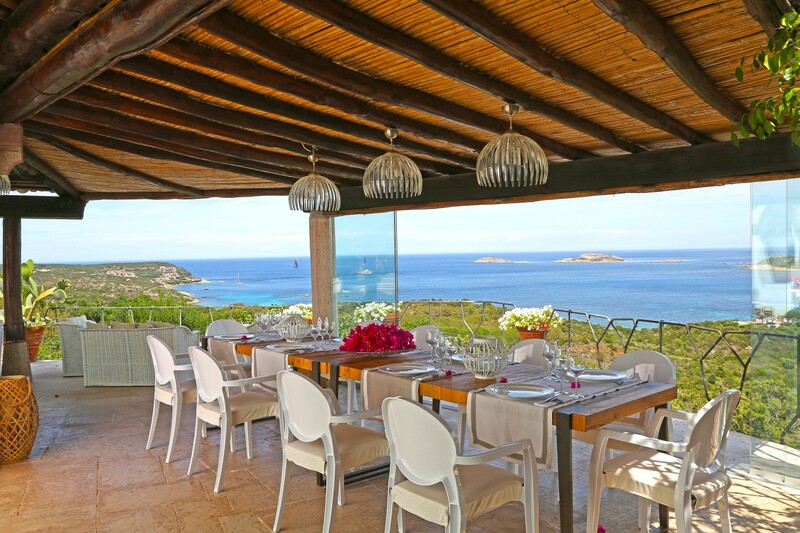 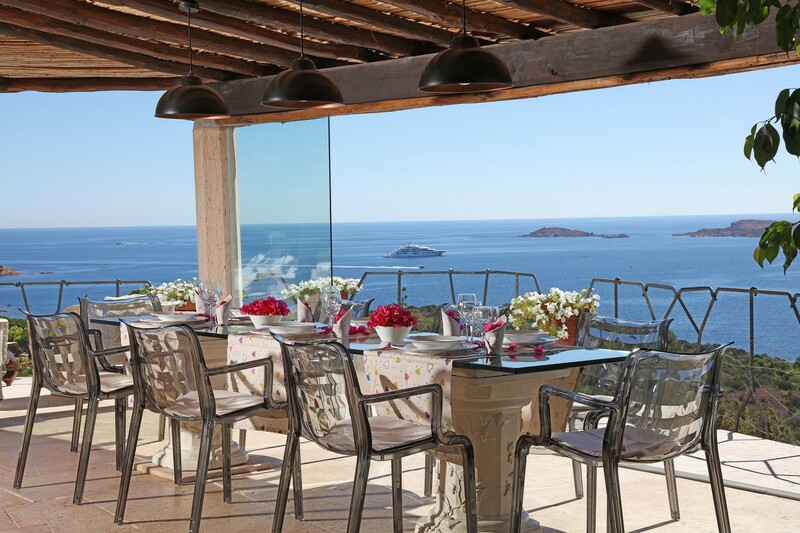 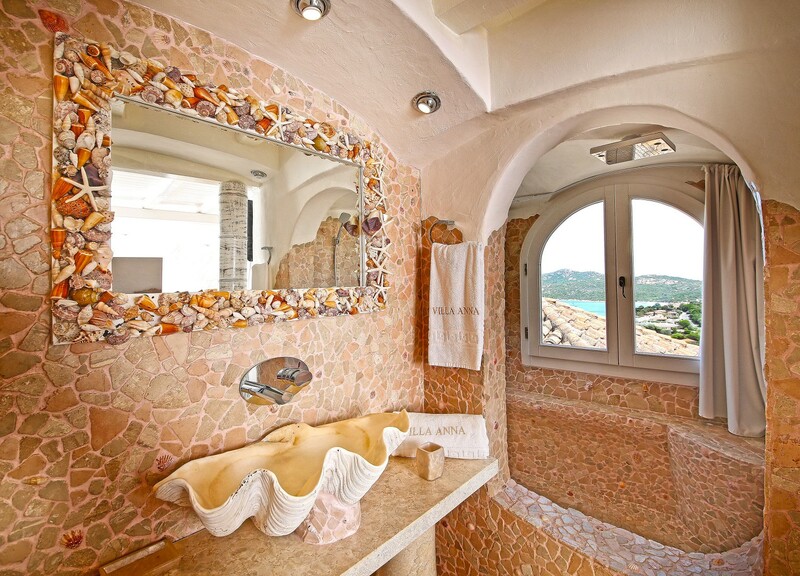 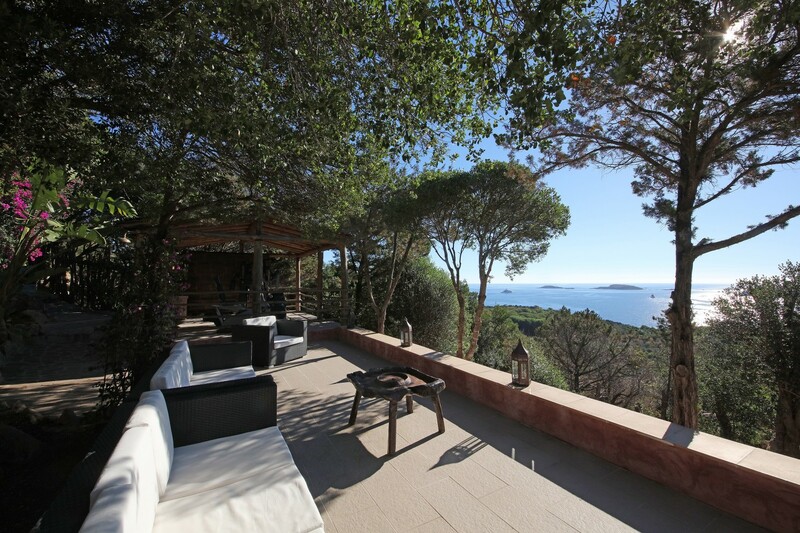 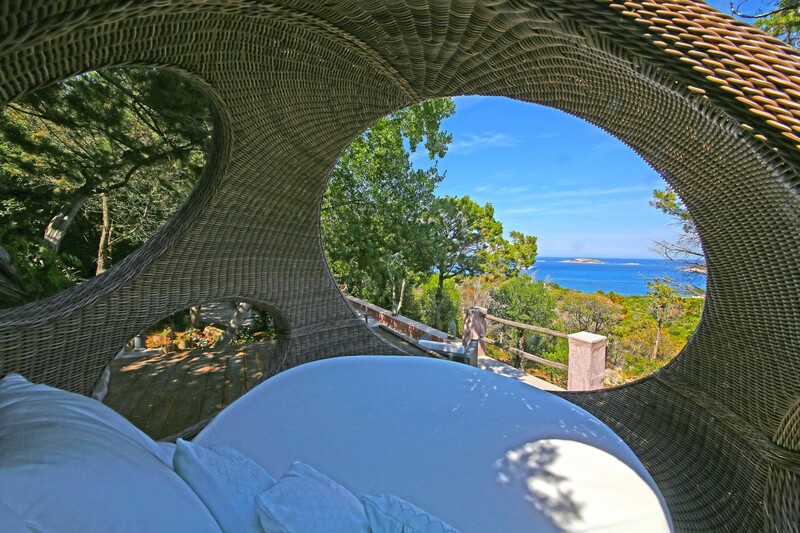 Designed by the architect Savin Couélle, the property is perfectly hidden into the surrounding Mediterranean vegetation framed into the typical Sardinian granite spectacular pink rocks. 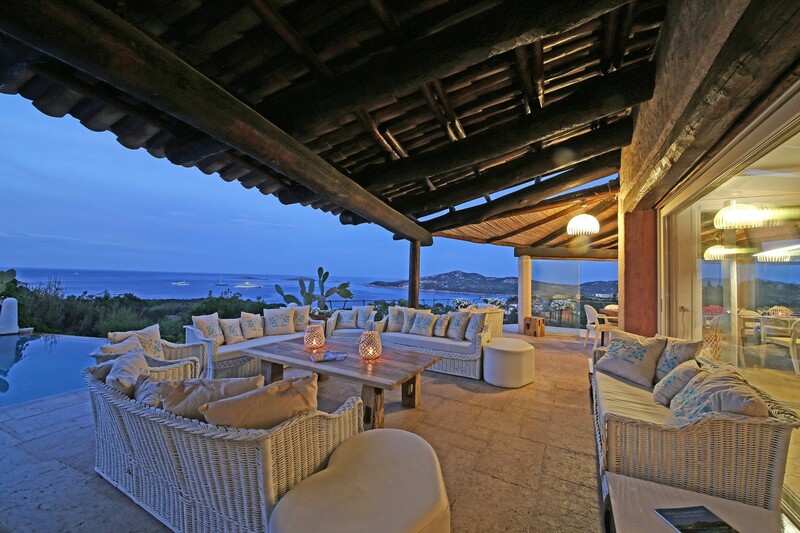 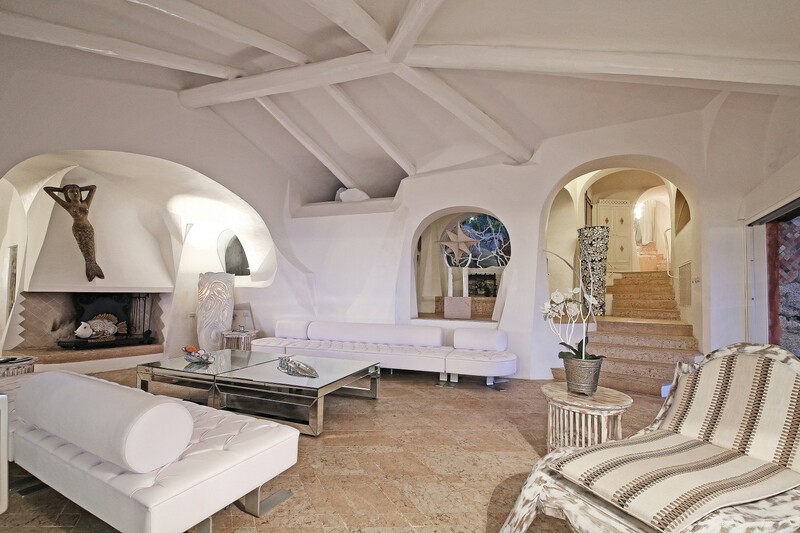 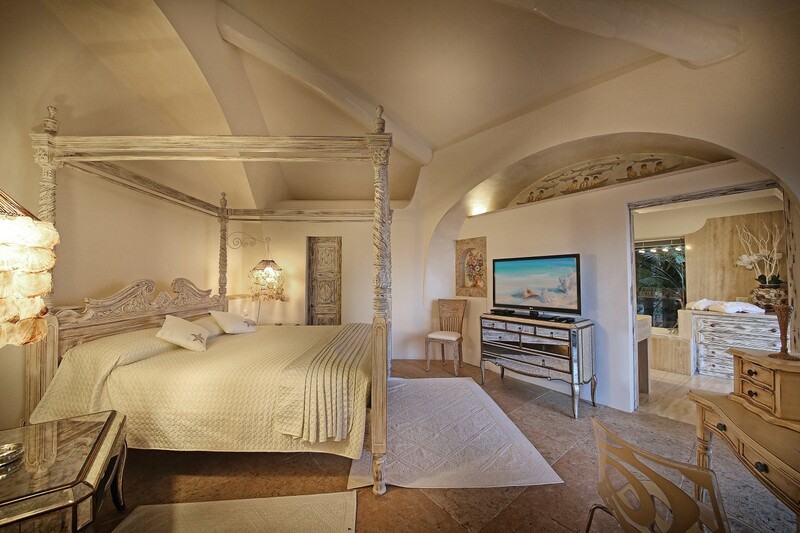 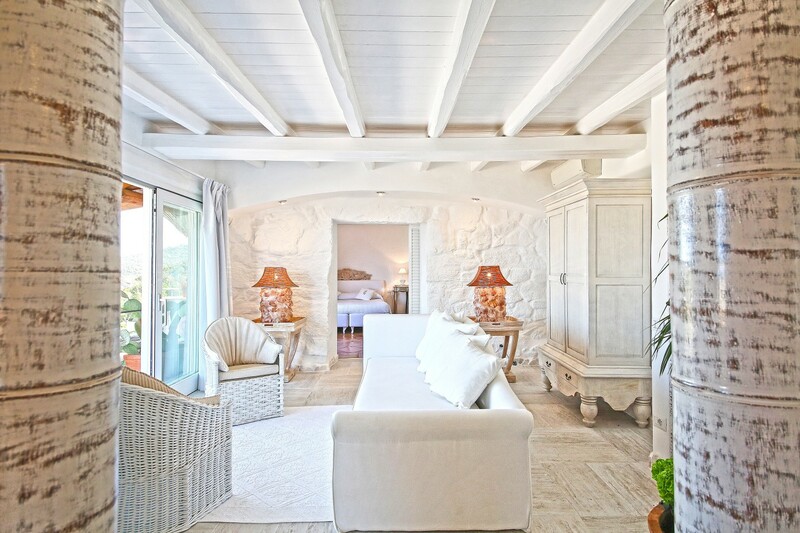 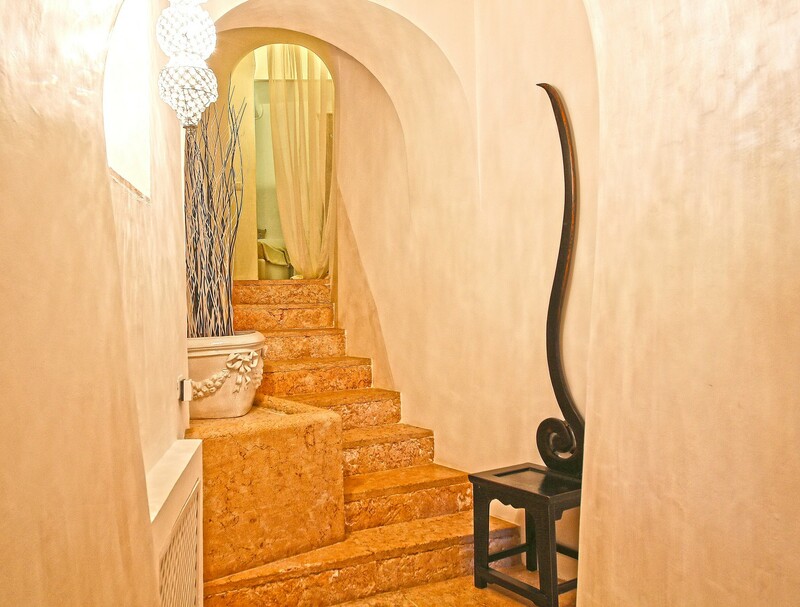 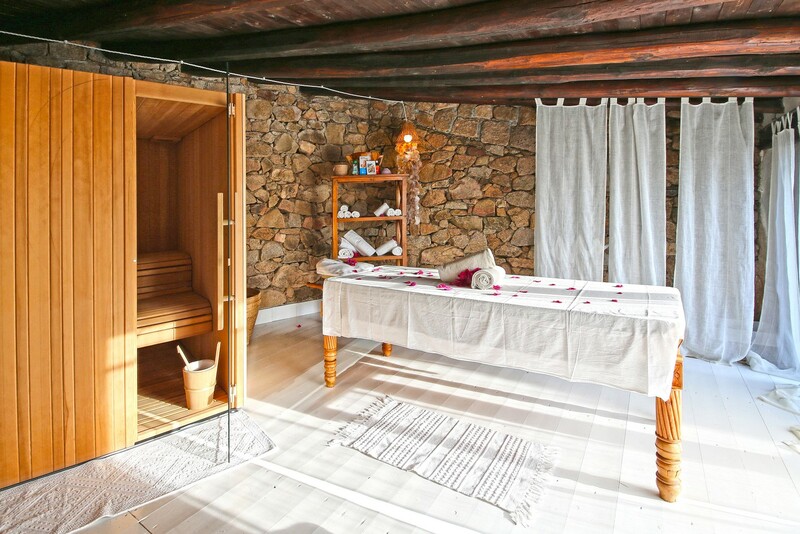 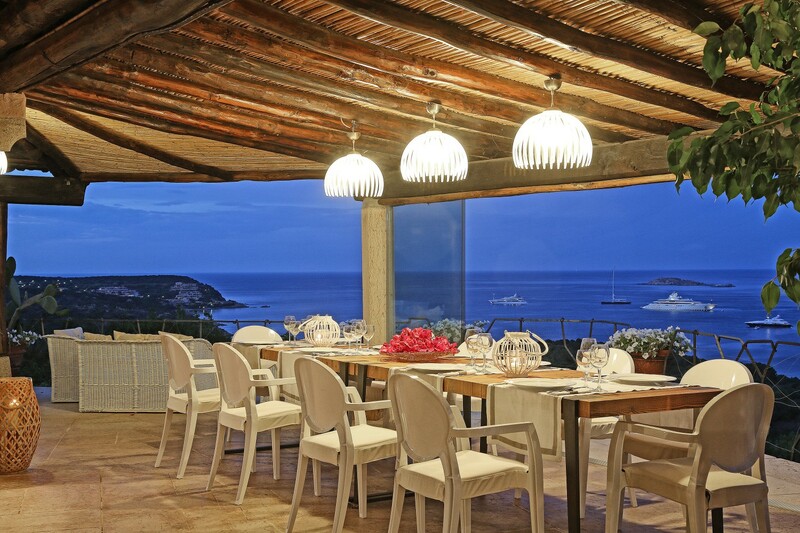 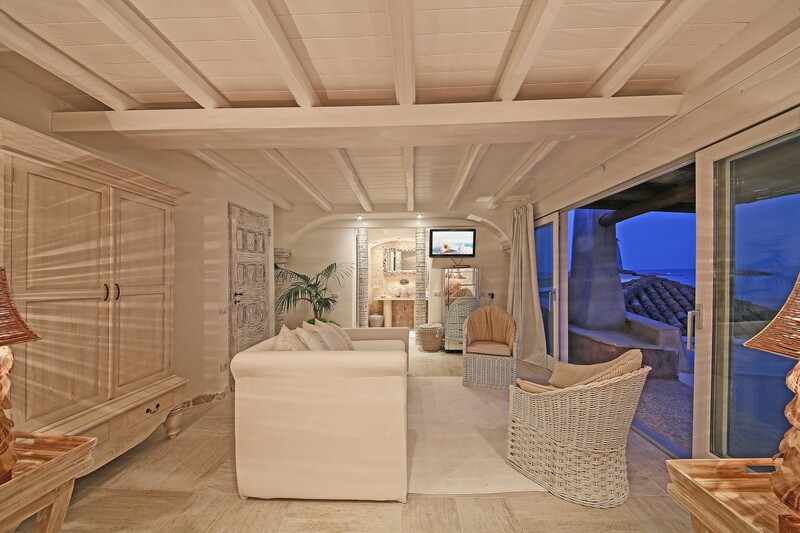 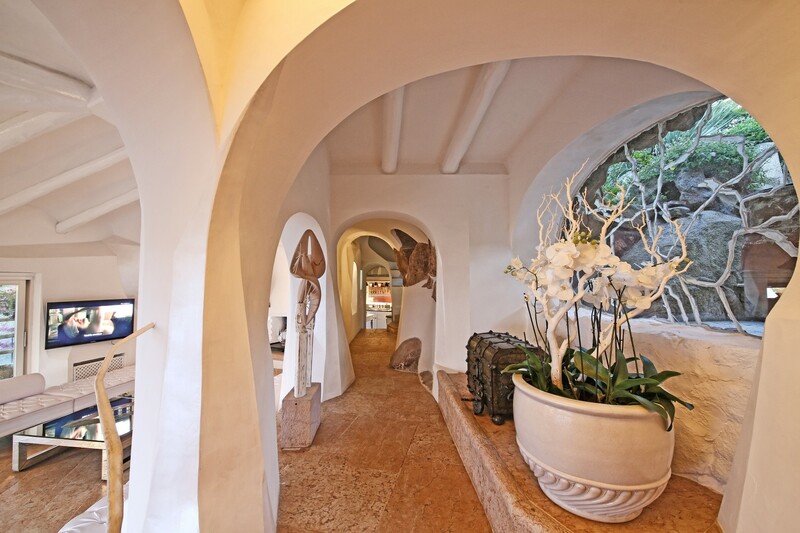 The essential shapes and the minimalist style chosen by the owner for interiors, mixed with a peculiar attention for all details, completed by the use of all latest technologies have produced a new trendy location in Porto Cervo. 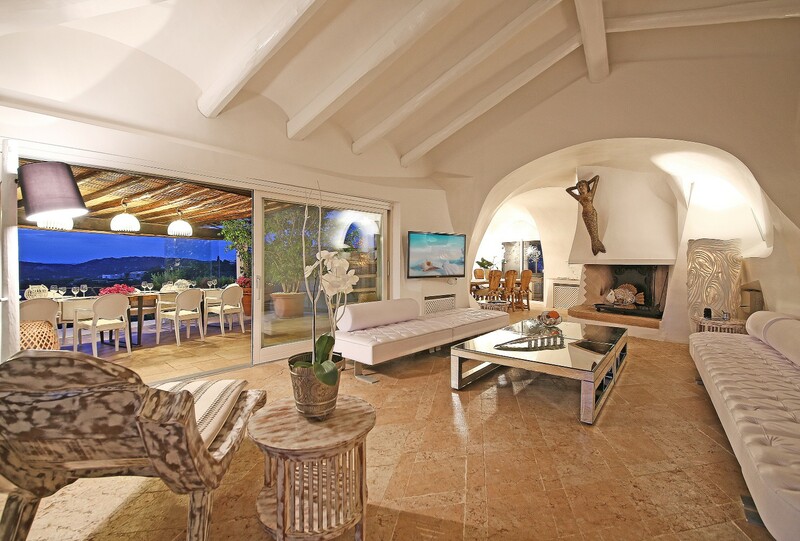 Living area and dining room overlooking the panoramic terraces; large kitchen, two more dining areas, external kitchen with bbq and a woodburning oven. 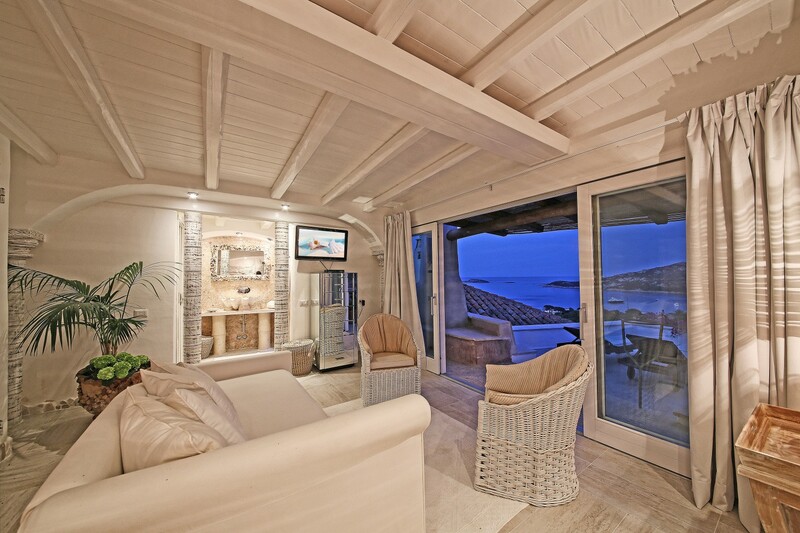 Full equipment bar completes the kitchen area. 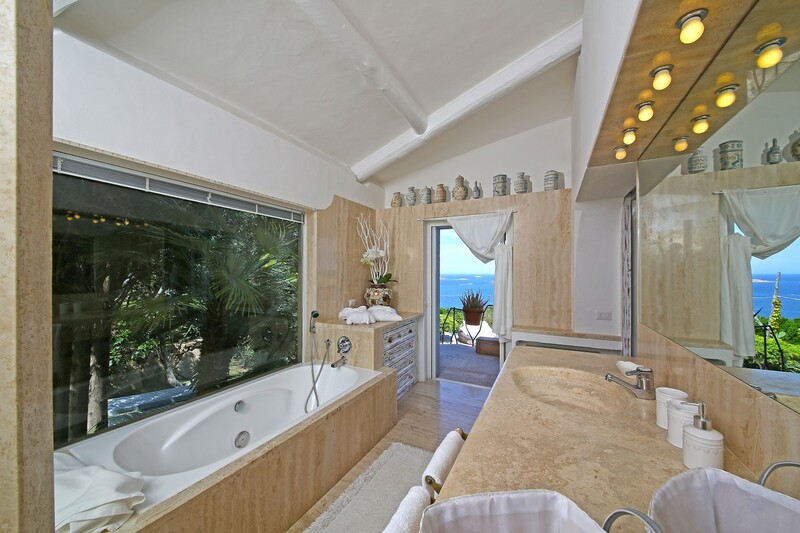 Master King bedroom with study, a double bathroom with stand alone shower plus hydromassage bathtub, terrace; twin bedroom with access to its own bathroom (shower). 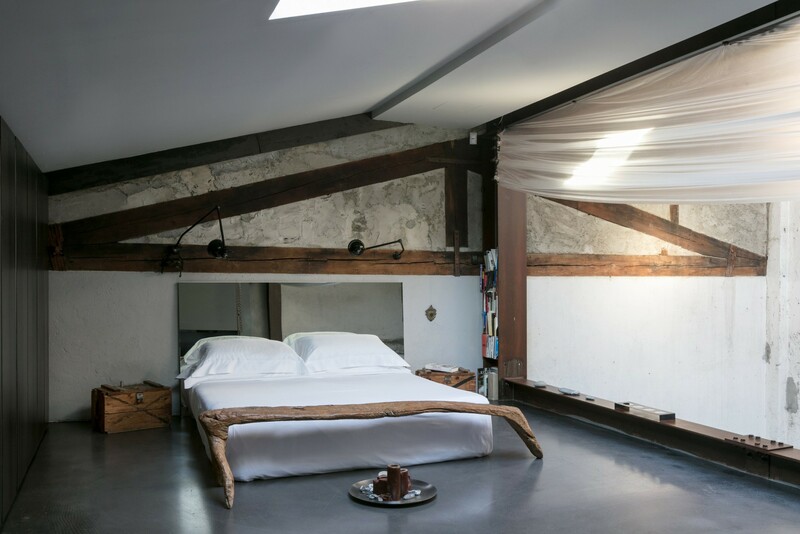 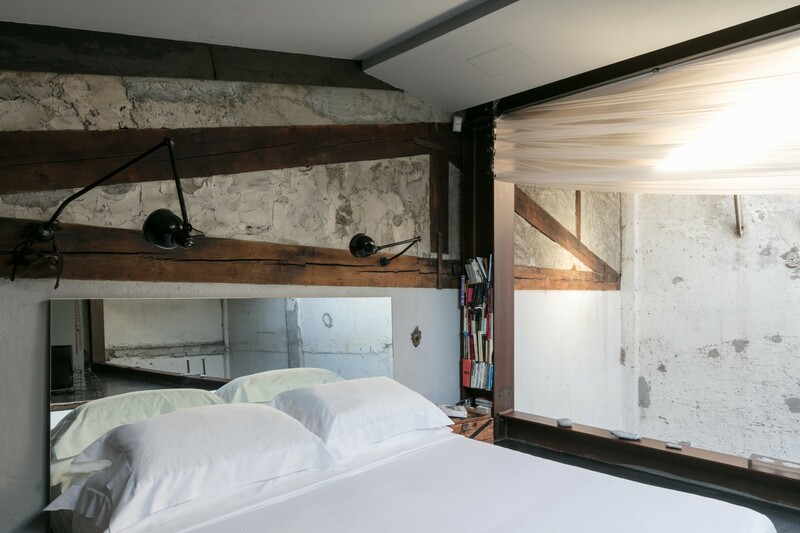 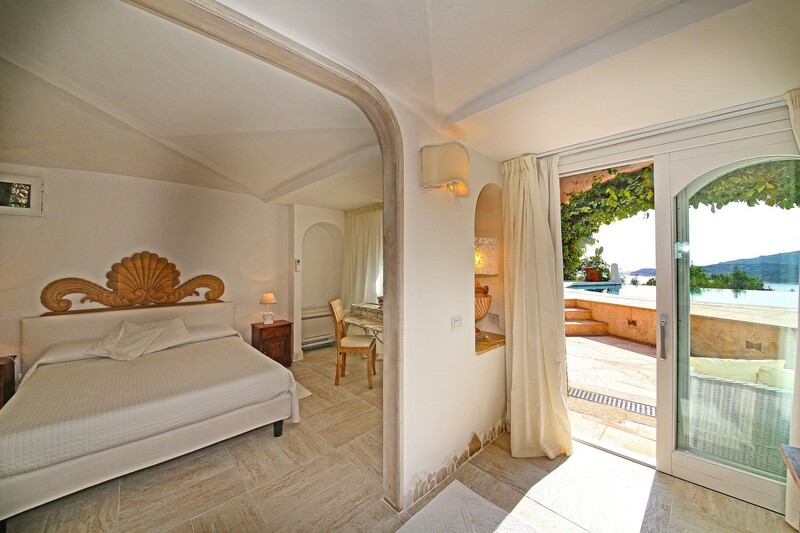 Each bedroom is accessed through indipendent entrances. 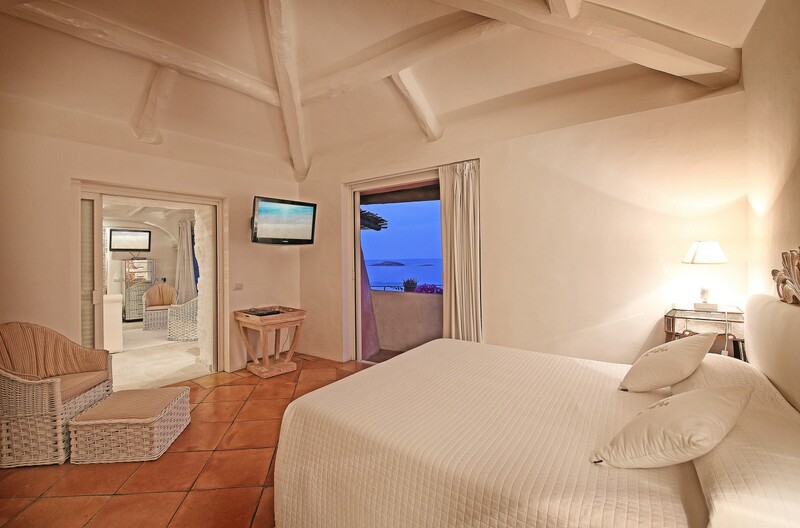 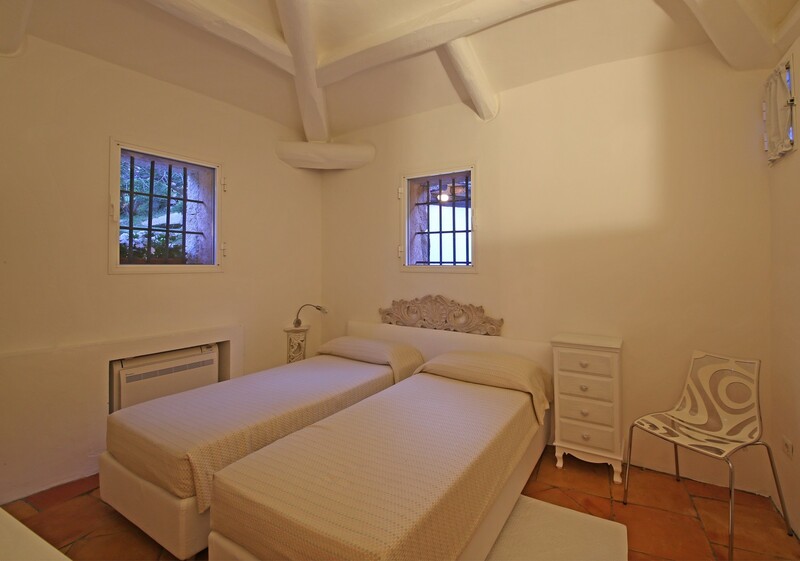 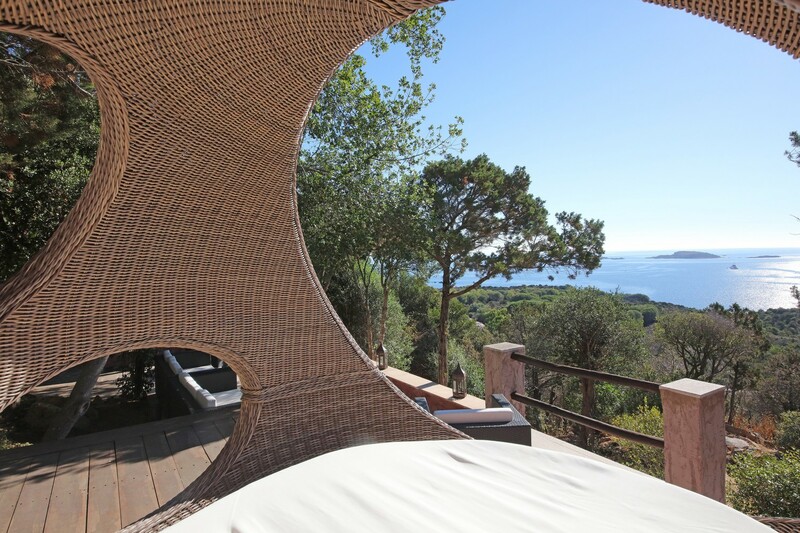 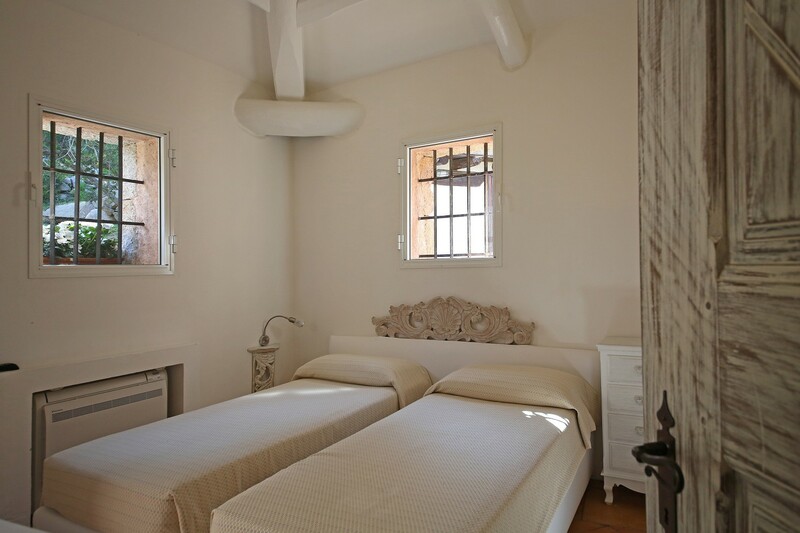 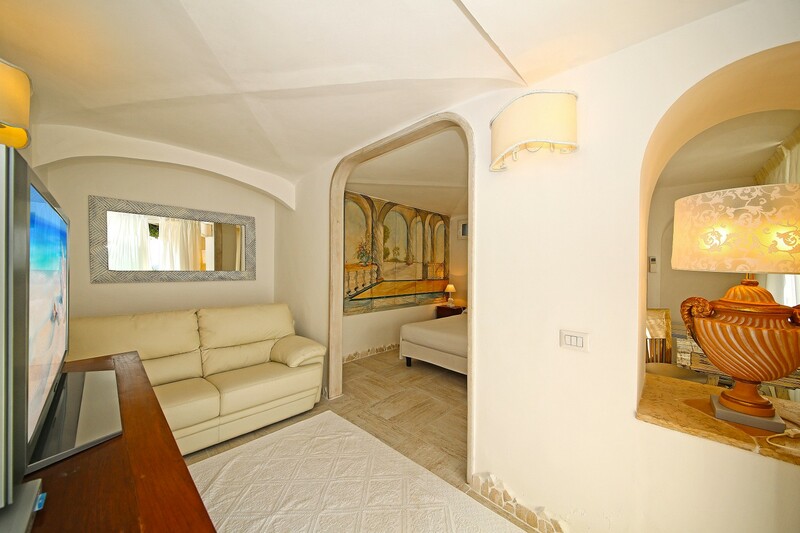 One double bedroom en suite (shower) and two twin bedrooms each one with spectacular sea views and panoramic terrace. 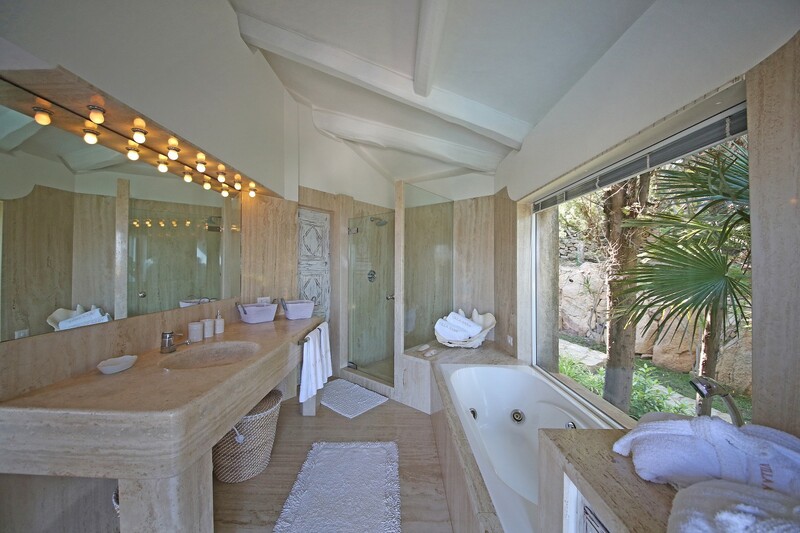 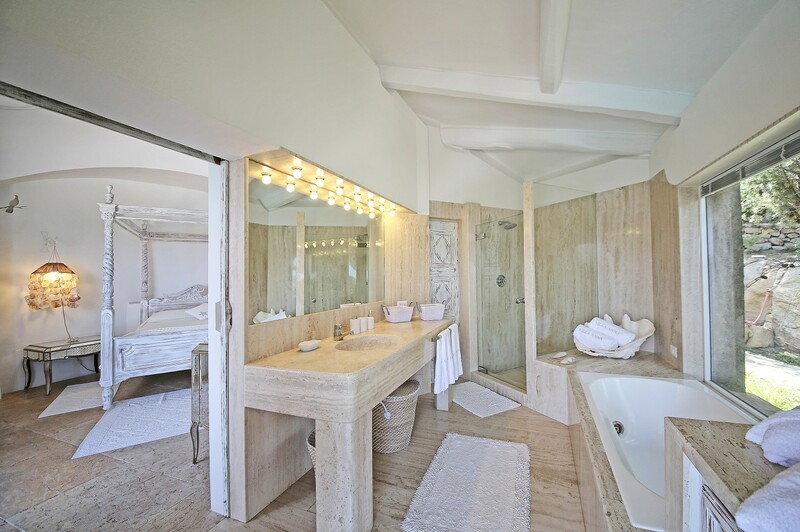 One Family Suite with 3 sleeping accommodations, a sitting area and one bathroom with shower. 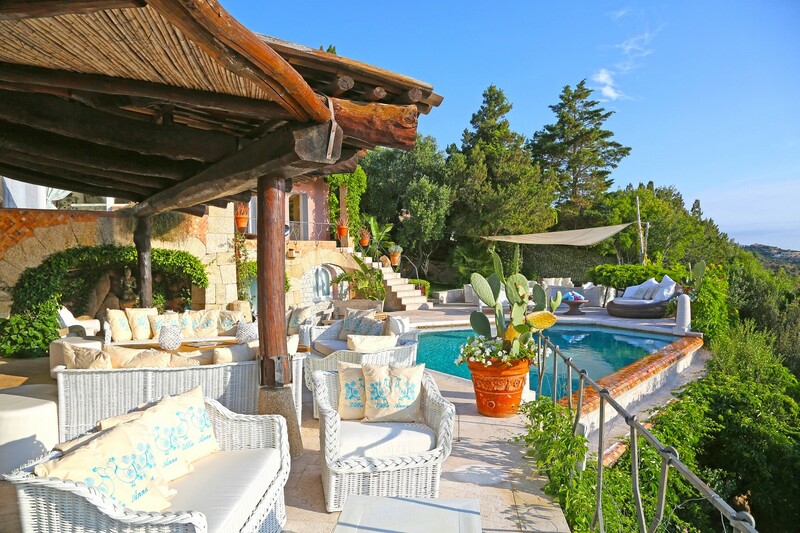 A fabulous panoramic heated swimming pool and outdoor jacuzzi, a full gym and spa with sauna and bed massage perfect for relax and mise en forme, 4000 sqm area of Mediterranean Bush and an impressive 1000 sqm garden complete this magnificent property. 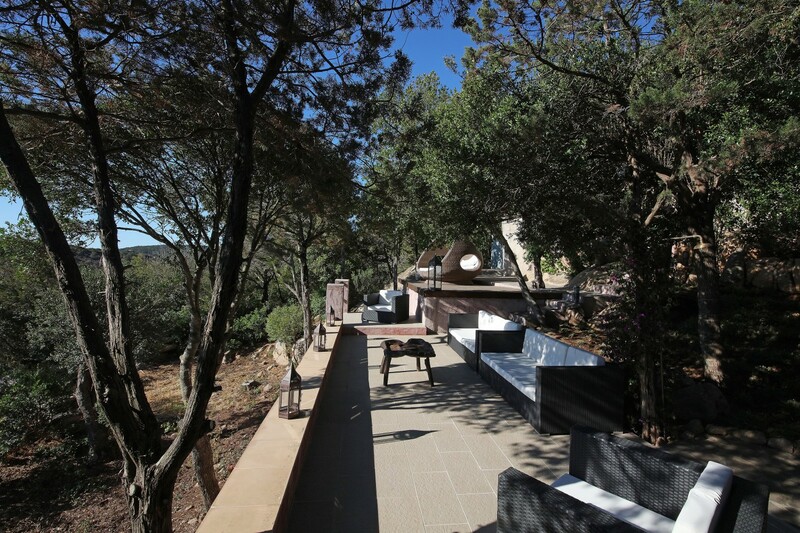 Staff accommodation with independent access for 4 people in two extra bedrooms and bathroom.